I have previously blogged about the new Yahoo! 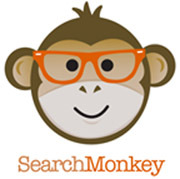 search platform called SearchMonkey. It is a major step in the right direction. It brings a whole heap of control back into the developers lap by allowing you to represent your search results that way you want. Good idea huh? If that wasn’t enticing enough on its own Yahoo! has sweetened the deal by creating a developers challenge offering multiple prizes worth a bit of dough. and one grand prize for best overall worth $10,000. So go on, I know you want to. Eat some bananas (you’ll need the energy) and enter the challenge.